Seekerville: The Journey Continues: Where's Your Cherry Tree? See the missing component? That missing thing became my cherry tree. Please allow me to explain through a story. One spring afternoon my son and I chatted in the garage while he worked on his car, and a robin flew in through one of the open garage doors. The poor bird got flustered and kept trying to get out through the closed side window. I opened the other garage door to help Mr. Robin with his exit options. It didn’t work. Even though we had two huge wide-open doors, he was determined to fly out through a closed window instead. Now, in all fairness, there was a cherry tree on the other side of the window. Perhaps Mr. Robin entered the garage with the cherry tree in his sights to begin with? I’m not sure, and he didn’t offer an explanation. Truthfully, I can’t blame the bird. The tree looked appealing and he was taking the shortest route. Mr. Robin’s focus on that tree had him undeterred, and no matter what we did to convince him the garage doors were a far better option, he remained target-locked on the tree on the other side of the window. Mr. Robin thunked against the glass a couple of times, and I knew he was going to break his neck if we didn’t intervene with more than pep talk. My son gently moved toward the bird so as not to scare the creature more. And the strangest thing happened. Up to that point, I’m not sure the bird realized we were there. He had a goal after all. It wasn’t until my son got closer that Mr. Robin acknowledged my son’s presence and refocused his attention. In an effort to get away from my son, Mr. Robin turned and what do you know? He spotted the open garage doors where his freedom beckoned on the other side. Mr. Robin needed some help. He was headed toward the right thing, the tree was good for him, but he needed to change direction to get there. 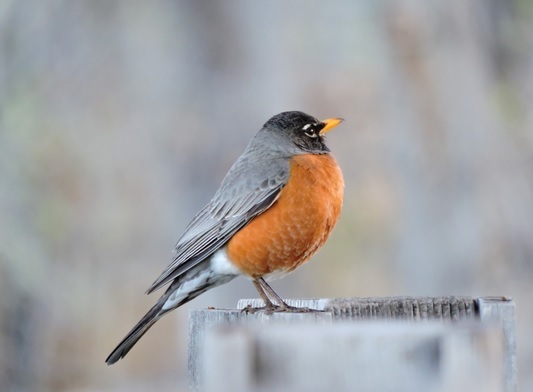 Once Mr. Robin got a new view, he saw the open door, and made his way out of the garage safely. Something about that day has stuck with me because I too have a cherry tree. The thing I’m target-locked on. Maybe you have it too? An agent? A book contract? Financial freedom from debt? A promotion? A baby? 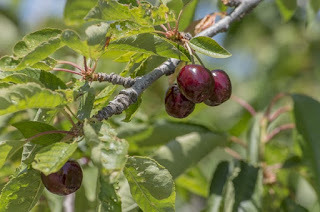 I think many of us have cherry trees and they can look very different, but the goal is the same, obtain the THING. I’ve been called a control freak, and it used to bother me. I’ve come to realize it’s rather accurate. I prefer to be in control because I hate being out of control or being under someone else’s control. So, if I’m in control, I’m not taken by surprise, hurt, disappointed, or anything else unpleasant. But control is an illusion, a state of mind that keeps us hidden behind the real problem…fear. Are we afraid that we won’t get that thing? The agent? The book contract? The promotion? The baby? So, we face our fear with a take-control-pre-planning attitude, forgetting a huge part of the creative equation…God. Problem is, it doesn’t take much faith when you’re controlling everything. Like Mr. Robin, I have my cherry tree, the thing I’m so focused on getting, and I forget that God might have another plan. He sees the whole picture, not just the tree on the other side of the window glass. When I forget God is in this with me and my attention is supposed to be on Him, I get distracted and keep bonking my head against the window trying to get to my cherry tree. The more frustrated I get, the harder I try to control, and I end up exhausted, angry, on the edge of bitterness with a headache, and flat ready to give up. Aren’t we all like that at times? We’re told to keep our eyes on the prize, go for goal, no pain no gain…so we keep pushing and aiming and going…and still we don’t attain the prize regardless of the best laid plans. Are we in the waiting room or going about it the wrong way? Please know I’m all for giving your dreams one hundred percent of your effort. If you’re writing, don’t hold back. Dive in. Dig deep into the story. Absolutely, we need to be doing all those things, but a beautiful aspect of being human is that we have God’s help, if we want it. If we accept it. Just like my son was near Mr. Robin watching him wear his little feathers out, God is standing right there beside us, watching us wear ourselves out, and all the while waiting for us to say, we need Him. As soon as I refocus and remember He’s with me in the mission, He shows me the better way. The wide-open garage door I totally missed, because I was trying to do it my way. I wish I could tell you that I don’t have those control issues anymore, but that’d be a lie. Especially when those things I’m trying to control are near and dear to my heart or involve the most vulnerable parts of my life. 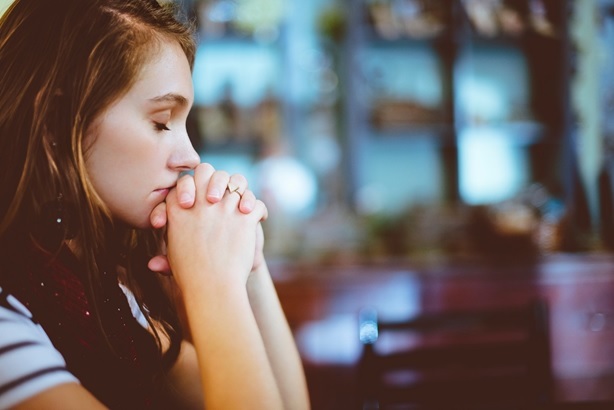 I’m learning after a lot of headaches from beating my head against the glass, that when I’m most frustrated, it’s probably because I need to refocus and listen for God’s instruction for the way He’s leading me. Which brings me to my book, Secret Past, and my heroine, Katie Tribani. Katie has control issues when she learns the “truths” she’s believed her entire life are lies. Her world is torn apart by the loss of her mother, a handsome stranger, and the truths many people are telling her. She must decipher the truth from the lies before someone kills her. And like Katie, we’re too have a real enemy determined to destroy us, but we also have God’s truth leading us into freedom. What about you? 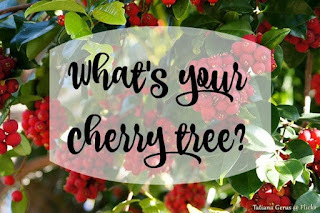 What’s your cherry tree? Have you struggled with trying to get to it? Or have you found a way to strive hard and achieve your goals? What would you say to someone you saw beating their head against the window? Leave a comment to get your name in the drawing for a copy of Secret Past! (Print copy for US only, Ebook for international). When she isn’t writing, she enjoys reading, crocheting and long walks with her obnoxiously lovable German Shepherd. I definitely needed to hear this! I'm in the midst of a lot of change right now and that leaves lots of things out of my control--certainly not my favorite place to be. But remembering that God is always there and that He knows what's best makes the road a lot easier to walk. Please put my name in the drawing to win your book. It sounds great! Glynis, I'm the same way. I don't do well when not in control. But it does help to remind myself I'm not truly in control, God is. Glynis, Change makes us move and boy, can it be uncomfortable but you're so right! God is there and because he loves us, we can trust him. Thank you for commenting! You're definitely in the drawing! Boy, do I know what you're talking about. I've suffered many a headache, trying to control things. The worst part is that it never gets me anywhere. Then, when I finally get still, I hear that small voice say, "Cease striving and know that I am God." Not me, HIM. That's pretty doggone humbling. Planning isn't a bad thing. So long as we remember that God's purpose prevails. Mindy!! *waving with big grin* Good morning! I love that you're loving it and that you want Katie and Daniel safe. Boy do they go through the wringer! But no spoilers here. I do love to plan. I still carry a book planner with sticky notes and highlighted pages. But I write everything in pencil -- Giggle. Yep, whenever I hear that cease striving message, it's a sure fire way to know... I'm trying too hard to make it happen. Ooooh---LOVED this post. Spot on. I've banged my beak against plenty of panes, so I can totally identify. Our minister on Sunday spoke about how problems are an invitation to grow in our faith. For control freaks (like me) a problem is anything that's not going according to plan! What a great illustration and a timely reminder!! Congratulations on the getting that much coveted call--can't wait to read your book! Good morning Sharee! I love the cherry tree story! I've been writing for a few years now and 2018 is the year I got an agent. She's sweet, encouraging and responds to my messages. I hope together with God's blessings to get a contract. I plan, but I'm also open to changing my plans. I try to remain flexible and open to what God has in store for me. Don't add my name to the drawing because I have your wonderful book! Congratulations! Jackie! Congratulations on getting an agent! That's no small undertaking! Flexibility is a must that's for sure. I'm still working on it but thankfully, God provides many opportunities. Giggle. Congratulations on your release, Sharee! I'll be looking for it! I can SO relate to what you shared today. People are always saying YOU have to take control of your life, your career, your whatever. And I do my best to do my part and leave the rest up to God, but sometimes it's hard to know when you're to keep "pushing" and when you need to step back and look around for that other open "window." To allow yourself be "led." Oh Glynna, I agree 100%! Like some of you, I had a LOT of trouble getting to the comments section this morning. The comments link was "dead" to me even though I could open the previous days' comments, despite logging in and 'refreshing.' Missy suggested clicking on the blog post TITLE to bring up the comments section and that worked! So I'm going to remember that if it ever happens again. I ended up clicking on the post title to get into the comments section. It seems that Mr. Blogger is up to his old tricks again. Good morning Sharee and congratulations on you debut release! I'm afraid I also have control freak tendencies and have a tendency to get hyper focused when I set a goal for myself. Your post was a great reminder of who is really in control. HUGE congrats on your debut release!!! I spied it in Walmart over the weekend! You're so right about relying on God as we reach for our goals. Everything happens in His way and in His time, and I try to remember that whenever a goal seems to be just out of reach. If I'm meant to have that particular "cherry tree," I'll get there. If not, God's alternative is better. Jan! Did you happy dance in the aisle like I did? Giggle. So very true! I love what Priscilla Shirer says, "if not this, something better." Sharee, congratulations on your release! Thank you for this timely post! I'm trusting Him in the process of moving back home after Hurricane Harvey and going to Israel on May 4. I have to remember that He will bring about His best in my life as I yield to Holy Spirit. Caryl, you have some huge things happening. What an amazing experience to go to Israel! Blessings to you. Love your post, Sharee. I’m trying be comfortable with a flexible plan. Have to have a plan...or two...or ten. Your book is amazing! Oh Sherida, thank you for those beautiful words. MUAH! Yes, to plan 1, 2 and 10. Giggle. Sharee, this is so, so good, my friend! How easy it is to allow other things to cloud our vision, when, if we'd only take another look, our (obtainable) goal is right in front of us! Congratulations on your wonderful debut! Looking forward to see where your future takes you! Cynthia! *waving emphatically* Guess that's where that old saying comes in, "can't see for the forest for the trees"? The goal IS attainable most definitely. The timing is the hard part sometimes, yes? Oh my goodness, this was so good! I like to say that I'm adaptable and can go with the flow, but it takes some doing to get me in that place. Life has been throwing us some curve balls and it is hard to not know what's going to happen next. That unknowing is difficult! Focusing on HIM is the best thing to combat that. I'm sooo excited about your release! You are a fantastic writer and good things are coming your way! Sherrinda, hello sweet friend! Man, I was NEVER good at sports especially baseball so curve balls are tough. But you're right unknowing is the hard part. I'm so glad we have a loving God who's got the whole play book! Oops..we seem to be having some technical difficulties on Seekerville/Google Blogger. If you can't post a comment or see images, please check back. Thank you. Congratulations on your debut, Sharee! It's right up my alley! I had to click on the post title to get to the comments page as well. I've seen so many folks close to publication get discouraged. Some give up. Those with enough determination stay the course. Often, they need a slight change in their story to make that first sale. Success is right around the corner, but they don't know where to turn. Giving it all to God and letting Him direct our steps is the key, as you mentioned so beautifully! Glad the bird found his way out. We've had the same thing happen in our garage. They focus on the window instead of the open door. Most of us can relate. 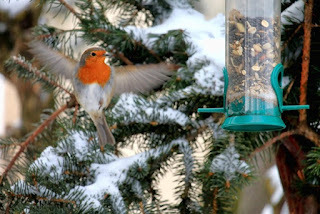 Thanks for providing such a great post from a small bird's plight. Hi Debby!! Oh my goodness, I'm going fan girl. I'm on the same shelf with Debby Giusti! Friends, how amazing is that?! Happy dancing over here! The writing world is a tough lesson in perseverance for sure, but you're so right. We keep on aiming and praying and praying and praying because it is possible! Boy, have you hit the nail on the head with this. Beautiful post :-) When I finally loosened my death grip on my publishing plan and insisting on trying to force things to go the way I thought they should go....they went a whole lot better and I finally did get published. There's nothing at all wrong with being a goal-oriented, driven person. But when you're driven by fear, that's a problem. Congratulations on your book! Jenna, I love your description: "death grip on my publishing plan." Yes, that has been me exactly. Oh yeah, Missy. We are sooo sure we know what's best. Ha! Sharee, so funny and so true! Loved this, Sharee - thanks for such an inspiring post! Congratulations on the publication of Secret Past!! So happy for you!! No need to enter me in the drawing, I already bought your book, read it, and loved it! Laura, I'm forever indebted to you! Thank you sweet one!! Sharee, such a beautiful post. I've been that robing . . . too many times too count. When it comes to the writing journey, the Lord has taught (and reminded) me that His plan is perfect. I know the things I want. And some of these are things the Lord will give me, in His timing. The key, though, is I need to keep my eyes on and my heart inclined toward Him, not toward my cherry tree. I so appreciated your reminder this morning. Thank you! Jeanne, blessings on your writing journey. And it is a journey indeed, but we have One Great Tour Guide! Hi Sharee! What a fabulous post. And congratulations on your debut book! I'm going to look around for my cherry tree, now. LeAnne, blessings on your cherry tree search! Sharee!!! 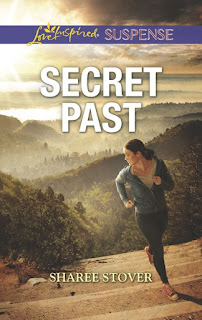 I loved SECRET PAST! I'm so excited to see it out in the world and in readers' hands! But the cherry tree...I don't love so much...that thing that feels just out of our reach. Thankfully, nothing is out of God's reach...I just need to make sure I'm reaching for the right things! I can so relate, Karen. I really appreciated your comment to Sharee's post. Oh Karen, soooo true! It's a great balance check when we realize He's got this. And us. Good stuff!! Thank you for your beautiful encouraging words too and for reading Secret Past!! You won't have to enter me in the drawing as I've got the book - and LOVED IT. I am so very proud of ALL the hard work you put into your writing! I've seen you grow so much as a Christian and Author the last three years - CONGRAT-YOU-LATIONS, SWEET GIRL! (Hint...You all might find Joy's name in the dedication of Secret Past). Thank you for the prayers and support and for talking me off those Cherry Tree Ledges every now and again! I absolutely love this comparison, Sharee! I think I'm more like Dory and the cherry orchard. Yes, yes, go for that tree. Aim. Miss. Okay, that tree. Yes, yes. Aim. Miss. Repeat. Repeat. I want to get a contract, but I tend switch ms often. If this ms doesn't work, I'll try this one. I don't think that's necessarily bad, except maybe I'm not paying attention as I crash into the glass over and over. Oh Connie, sweet friend you had me giggle out loud over that one. I'm the same way. Have several MS going at a time. I get frustrated with one, work on another. But yay for keeping your creative energy going! You're a fabulous writer! The tree is a comin'!! Hang on! I don't know if I specifically have a cherry tree. At least not one that I can think of. I'm generally pretty adaptable. If something doesn't work out, I'll try out a different option until I find the one that works. I'm all for the unconventional paths. Your story looks really interesting! Please enter my name in the drawing! Nicki, that's great to be flexible like that! I need to try to be more that way. Hi Nicki! You're entered into the drawing! What a wonderful gift you have of being adaptable. I need that kind of flexibility and adventure for the unconventional! I love the post, Sharee! I'm so sorry Blogger is being ....ahem.... feisty today!!! If you are determined to be in control, then you need to develop the wisdom to know when to hold them and when to fold them. Even a massive military retreat can be a notable victory. Remember Dunkirk. Control requires wisdom, life experience, self-knowledge, prayer therapy, and stand-alone courage. Also please note that God has many plans for us depending on the choices we make using our God-given freewill. Is it any wonder that there are so many followers and so few leaders? Please enter me in the drawing for "Secret Past". I love reading an author's first book. I was here twice earlier and couldn't get in to comment and then the smart gals said.... "CLICK ON THE TITLE" and it worked! Sharee, this was really a treasure trove of great ideas. And it's funny how the title was a link... that brought us here. I had no clue. Not like that's a big surprise or anything! And my 3 year old granddaughter just stole my ice cream cone. Giggle Ms. Ruth I'm so glad you're here! Blogger was testing all of our technology skills today. (insert evil laugh) We beat Blogger! So so so loved this post! I tend to be goal oriented, too, and I have a plan all mapped out how things should go. Then WHAM! Reality. Thanks Erica! It's been a crazy wild month! A series...yes, yes, I believe it could very well be the next cherry tree. What a wonderful post, Sharee. I tried to comment three times in the wee hours of the morning, but to no avail. My road to publication wasn't a traditional path. The moment I learned I'd advanced in the Blurb to Book contest, I knew I had to give up control and hang on to Jesus. It paid off and I learned that sometimes God can take our tiny dreams and turn them into something magnificent, if we follow His lead. Congratulations on your release! I'm really happy for you! Jill, I was having problems with Chrome so I blamed that... but then found out it was across the board. I wonder if Google got hacked.... or did an update that is incompatible with other functions. But Yankee Belle has been working fine all day, so that's odd because that's an old blog, too. But wait... this isn't an old blog! Maybe it only affected the newer ones???? I love that God isn't limited by the traditional path! How exciting to go from contest to published! That's living the dream! So far I am achieving my goal, it's to walk 4 miles a day for this week and then start increasing it slowly. Kim! Good for you! Keeping the heart and lungs in shape is such a great goal! 4 miles is fabulous!! When the weather warms up, I hope I can get there too. Congratulations! Great post, Sharee. So happy for your success with your book, even if it didn't come about the way you planned. :) I think my life is probably full of cherry trees, although I can't think of anything specific. Please enter me in the drawing. I really do want to read your book! Hi Sandy! Yes you're most definitely entered! A cherry orchard of dreams! Glad I was not on here earlier...to fight with blogger...but must be brief now due to stormy weather in GA and my internet acting ugly! Sharee, I am excited about your book and anxious to read it...please count me in the drawing...so happy for your success! Hi Jackie! You're in! I'm catching up since blogger was naughty yesterday. Hi, Sharee. Congratulations on your book (and I've read it - for whoever wins it, this book has a spectacular beginning). And yes, I totally agree on the cherry trees and focusing on one thing to the exclusion of others. I'm working hard, though, to enjoy the writing more and be at a stopping point before my family's June vacation so I can be present for them. And please don't enter me in the drawing. I want someone else to be able to enjoy the book since I've already read it. Hi Tanya!! Oh you're so right! I've been working harder to be present with my family too. Those moments are precious! Thank you for the kind words, I'm so glad you liked it! P.S. Tried to comment this morning but was unable (like many others!). Aw Patti Jo you just overflowed my heart! Thank you sweet friend! Coincidence or great minds working in tandem? I just received Audra Harders' newsletter which seemed perfect for your post topic today. Sounds like Ruth's ice cream cone! One caveat however: be sure to take notice of the SNIS, shiny new idea syndrome, that Winnie Griggs posted the other day. I know, I know, if it were easy, everyone could be a successful writer! Vince, I prefer the great minds working together. In this business, you need all the help and support you can get!! Sharee, I love your post! I'm feeling your headaches, girlfriend. Even though I should know better, I still tend to fall into old habits. Thank God, He doesn't give up on us!!! That's it, I'm signing up for Audra's newsletter! I need to learn to give up control to the One who guides my path. Not that I don't have my own plans, but to realize that sometimes He has a better way for me. I trust Him to lead me where He will, He'll open doors where windows have been shut! Hi Trixi! Thank you! I hope you enjoy Secret Past, it's been so much fun sharing my baby with the world. :) You said it though...sometimes His way is so much better than anything we could've drummed up! So very true- my life is constantly reminding me with all of its detours that God, not I, is in control. I thought after I had raised my son with severe hemophilia that at last I'd be free to write full time, be able to finish my books, and push to publication. 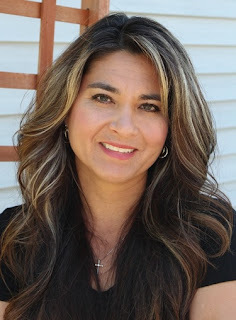 Only for my husband to suddenly become disabled and now I am his full time caregiver. Thanks for the reminder that my job is to remain faithful and open to His path and direction! Dorcas, you have certainly got a full plate and how blessed your family is to have such a loving wife/mom. Blessings to you! Boy are you speaking my language! It seems all of life is a tug of war to keep control, and just as you said it's really an illusion. Your object lesson is right on. It only takes me a couple tries (or a couple thousand, lol) before I realize I need to redirect my focus and let God direct me. I may have the right goal, but the journey route is in God's hands. I'm looking forward to your book and would love to be included in your drawing. Thanks for the giveaway and here's praying God keeps all our eyes open to HIS path to our goals. Count yourself in the drawing!! Nice post Sharee. So glad you got "the call." I had the pleasure of dining with you and Mary C. in Omaha a year ago at Jack and Mary's. It was a fun evening. Hi Jewell! I remember that! Hopefully we get to do that again! I'm so proud of your persistence and how it paid off. But, man, smacking your head against that window to reach the cherries sounds painful...and a lot like my own experience lately. But there's no substitute for trusting the Lord's plan before our own. It's a hard lesson to learn, for sure. Congratulations on your new book. Love you, girl! Yvonne!! *happy dancing* So true, no subbing on God's plans. Loving you back sweet friend! Hope I am not too late - I was attending a library conference! This is so true in my life- my head keeps hitting the wall/window because my focus is unwavering. Thank you for the reminder. Congratulations on the contract! Your book sounds great!